Andy Johnston is responsible for delivering the Local Energy business plan and helping the public sector to reduce their carbon emissions. Andy is also a Director at the LGiU where he developed practical pilot programmes on carbon trading and climate change adaptation. Previously, Andy was Head of Centre at Forum for the Future, where he developed capacity building programmes and reporting frameworks for public and private sector organisations. For six months he was seconded to the OECD to write a report on education and sustainable development and gave presentations in many OECD countries. Andy was a local councillor for eight years and chaired the planning committee for seven of those years. He was instrumental in the adoption of doorstep recycling and introducing sustainability into the Local Plan documents. In an earlier role, Andy was a lecturer at the University of Hertfordshire in environmental management for business and he has a PhD in environmental performance indicators. Karen Lawrence leads Local Energy’s work on energy efficiency and ECO delivery and manages the Local Energy Efficiency Network (LEEN). Karen aims to develop new projects that keep public sector organisations at the forefront of energy efficiency and renewable energy policy and delivery. 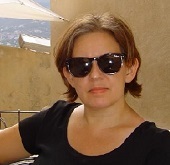 On joining the LGiU in 2008, Karen developed and delivered the flagship project, Carbon Trading Public Sector, helping more than one hundred organisations to prepare for the CRC ahead of the legislation coming into force and throughout the first registration period. In 2011-12, Karen led the next phase of this project, Carbon Saving Public Sector, guiding organisations through the changes to the CRC, the new opportunities presented by FITs and the RHI, and the role of the public sector in delivering the Green Deal. During 2013, Karen was seconded to Eastleigh Borough Council to manage the launch of the ‘Solent Green Deal’ scheme. Since then, she has led on delivery of more than £25million of ECO funding with four of the ‘Big Six’ energy suppliers, as well as helping to develop Local Energy’s Green Deal services. Karen previously worked as Principal Sustainability Advisor at Forum for the Future and, prior to that, Policy Officer for environmental protection at LACORS. Stewart is ‘our man on the south coast’, managing delivery of the Solent Green Deal project in partnership with Portsmouth, Eastleigh and Southampton councils. 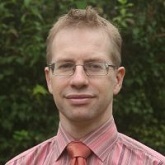 Before joining Local Energy in 2014, Stewart previously worked with Winchester Action on Climate Change as a Green Deal Adviser informing the general public about the scope of Green Deal, how it works and the energy efficiency measures it covers. Before that, he worked as a volunteer with B&Q on their 21st Century home project demonstrating how a Victorian terraced house could be retrofitted to meet 21st century efficiency standards. 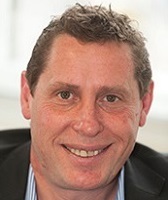 Stewart holds a post graduate diploma in Sustainability and Environmental Management and – in a previous life – worked as a Quality Systems Manager in the Pharmaceutical industry. Nina is the multitasking Queen! Coming from a sales, customer service and administration background working both overseas and in the UK, Nina brings to the team a strong background in domestic energy efficiency delivery. She has previous experience of CERO, HHCRO, CERT and CESP schemes prior to joining Local Energy in 2014. Since then, Nina has focussed on establishing internal processes and procedures and handles all aspects of administration for Green Deal and ECO projects.